Nadin relocation services: your moving, our priority! You would like to move? Trust Nadin, the moving specialist since 1953! The Nadin Moving Company provides the best professional services. You trust us for you moving, we take care of everything! Whether you move to Luxembourg, to Belgium or to France, we ensure the best conditions for your moving. If you need an international transfer, we have the solution to your needs. You may also check our consolidated movings for a cost-effective solution. moving trucks to rent if you want to move by yourself. Discover our prices by asking for your free quote! We are specialized in moving for more than 60 years. 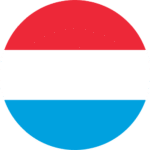 We have the largest fleet of Luxembourg: more than 25 vehicles and 30 movers at your service. However or whenever you would like to move, we have human ressources and appropriate equipment to successfully conduct you moving. You choose among all our services what you desire: lift, furniture assembling, partial or total packaging of your belongings,... We customize our services to your needs and wishes. You avoid unnecessary costs by choosing exactly what you need. You are the one customizing your moving. So you can continue your activity, we take care of all the formalities and paperwork in order to ensure the best conditions for your moving. Administrative formalities, parking booking, insurance to cover all your belongings,... There are so many things you don't have to worry about. Our movers are specially trained to move fragile belongings and cumbersome objects. For your IT equipment, we have adapted rollers for its transfer. If you have special objects of furniture, such as an art piece or a motorbike, we can create custom-tailored packaging to avoid any risk of damage. We always have the suitable solution. We arrive on time and we do our best to conduct your moving on the scheduled times. We also move on Saturdays if you are too busy during the week. Usually, we can propose a close intervention date if you are in a hurry. Once at your place, our moving teams install your furniture where you want it. They put your furniture together and fix your lamps, boards, curtains,... They can also recycle your old furniture if you don't need it anymore. from the begining till the end. You want to move your Company? We have the experience and the equipment to conduct your moving in the best time. Our objective? Move you without disrupting your business activity! For a national moving, or to a bordering country, our teams are at your service. For futher destinations, we invite you to check our long distance movings. For your international moving, continental or overseas, we got the solution for you needs and budget. Take advantage of our regular moving to move cheaper and discover our next destinations. Fill the following form and we will reply to you within 24h to enquire about your needs and send you an offer. Our lifts will bring your furniture to your floor without effort. Store your furniture in a secure warehouse. All you need to pack your furniture, from protection to custom-tailored solutions. Gain time and money by getting your furniture installed by professionals. We deliver voluminous furniture or bulky objects in record time. Rent a truck or a lift for your moving at fair price. We can discuss your needs, choose best services and provide a detailed offer. Nadin, the moving specialist in Luxembourg and abroad, will always provide you quality services at the best price. Would you like to get an offer for our services ? Ask for your quote and receive an answer within 24 hours.